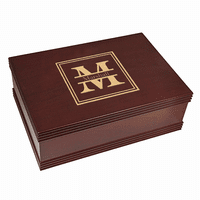 FEATURES/SPECS This monogrammed picture frame keepsake box is a great way for any family to keep small trinkets, keepsakes and papers organized and out of the way. 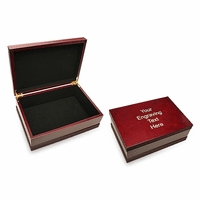 The box is made of solid wood with a rich espresso finish. 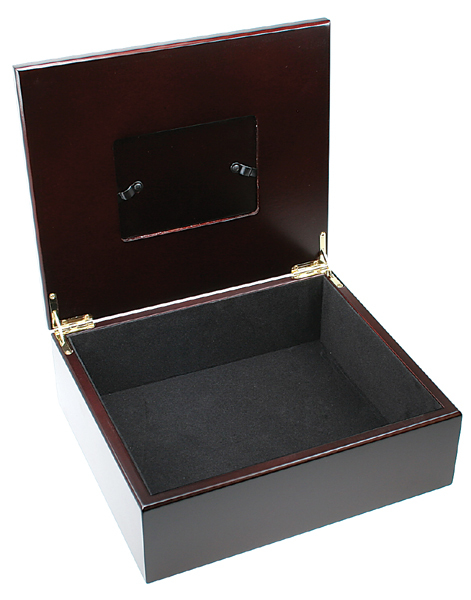 It has silver hinges and a black velour bottom to protect delicate surfaces. 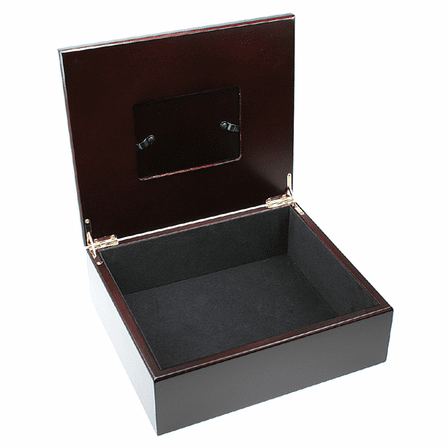 The lid includes a 4" by 2 3/4" picture frame in the center, protected by a clear covering. Above the frame, we'll add a laser engraved monogram of your last initial. Below it, we'll engrave your last name in a fancy script font. 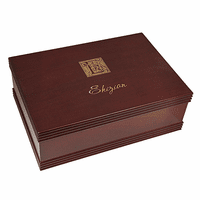 Inside, this monogrammed keepsake box has a spacious capacity and a black velour lining. It makes a great housewarming gift for a new homeowner too! This box was the perfect gift for my hard to shop for parents. The engraving came out beautiful and it arrives within a couple of days. 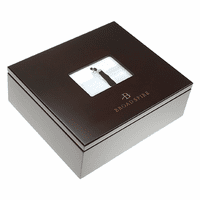 I highly recommend this gift and Executive Gift Shoppe!